Who has time to fill in a long surveys? Did you know average customer satisfaction survey response rates are less than 2%? Customer Thermometer changes all that. Customers love responding to our microsurveys, and you get instant feedback. 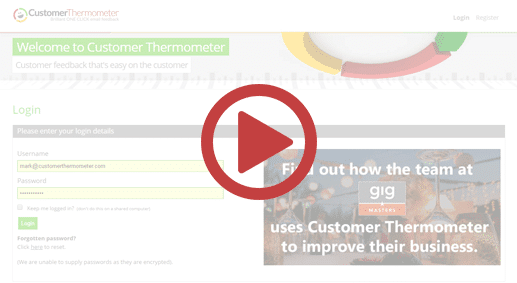 In just 3 minutes we will show you how easy Customer Thermometer is to use for both you and your customers. 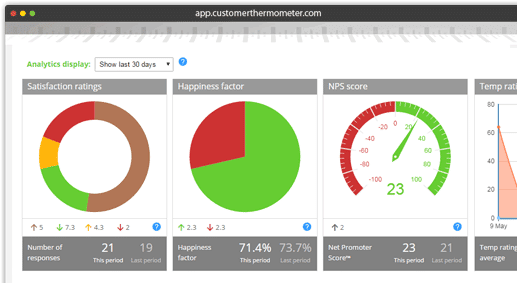 You need to know if a customer is unhappy. But they won’t always proactively tell you. 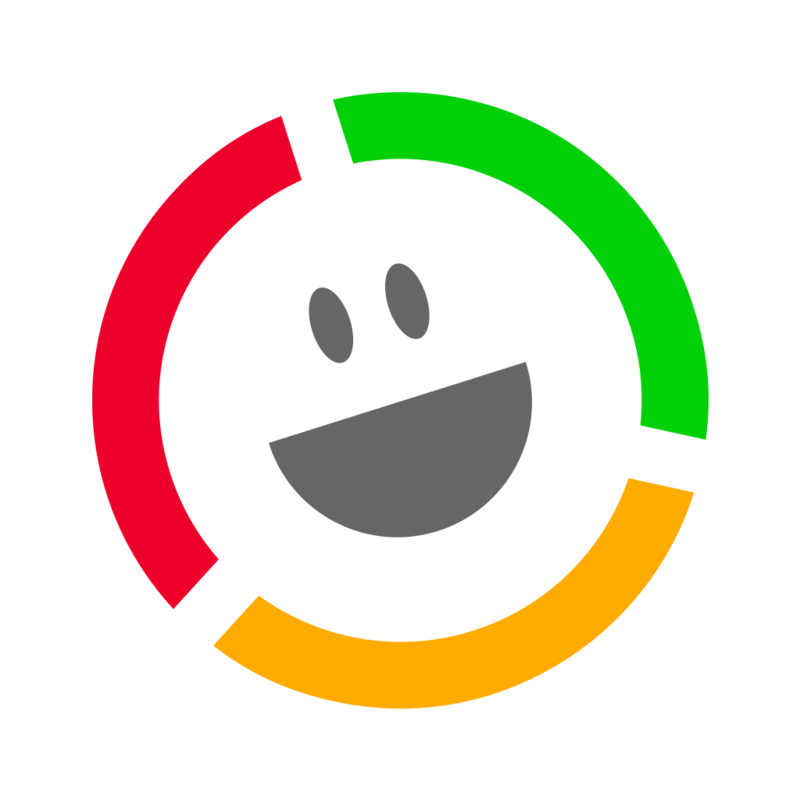 With our microsurvey, when a feedback button is clicked, you’ll know who is unhappy. Giving you the power to follow up immediately. No waiting for a report, we instantly alert you. 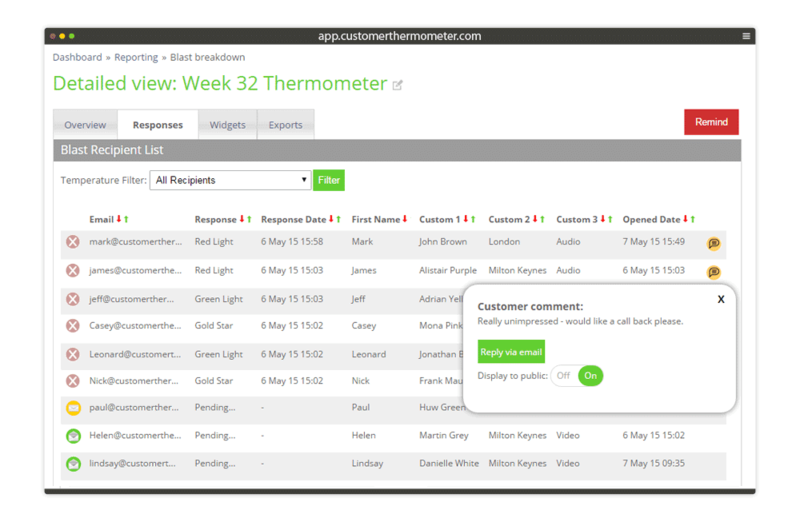 Customers love using Customer Thermometer, and are happy to give you feedback because it only takes a few seconds of their time. When your recipient has clicked, they can leave comments too. You can interrogate these in our word cloud. Mobile-responsive, simple and fresh. You’ll change your business. Get an account and 10 surveys completely free.